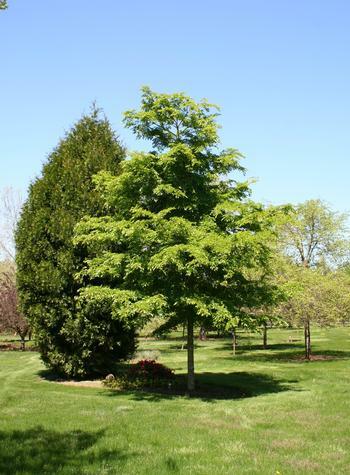 Ulmus x ‘Morton Glossy’ | J.C. Bakker & Sons Ltd. Very good resistance to Dutch elm disease and is resistant to elm yellows; it also has good resistance to elm leaf beetle. It is easily transplanted, quick to establish, and adaptable to most soil types. Large, lustrous, dark green summer foliage gives way to yellow fall colour. Useful for home and commercial landscapes or parks or as street tree. SKU: 18601250. Category: Tree. Tags: Elm, glossy, morton, Triumph, ulmus.